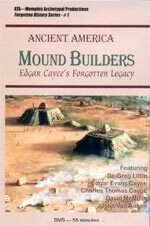 With the current popularity of Ancient Aliens®, various bloggers and writers have attempted to credit the idea of ancient astronauts to some person who is, for one reason or another, a favorite of the writer. But the true origins of the modern ancient astronaut theory are deeply rooted in old literature attributed to “spiritualists” and mystics. Many early philosophers are said to have thought that life existed on other worlds, but virtually all of the sources of these attributions are verbal legends and brief statements. In more “recent” times, Bishop John Wilkins (England) wrote in 1638 that not only would humans someday travel to the moon, but he also believed that the moon might be inhabited by beings. There were a few other religious leaders who also made the daring proclamation that life might exist elsewhere in the universe. But none of these early philosophers wrote about extraterrestrial beings coming to Earth and influencing human development. However, if any one individual is to be credited with truly shaping and literally creating the ancient aliens’ idea, it is Emanuel Swedenborg (1688-1772) a Swedish scientist and mystic. Swedenborg was extremely famous in his time. He was well known by kings, queens, inventors, physicians, and theologians. Swedenborg served in various government positions and was well respected even after his later ideas about life on other planets were publicized. When he first wrote of life on other planets, Swedenborg was the head of the Swedish Board of Mines. He had his first reported experience with a “nonhuman” personage in 1744. During his lifetime he wrote more than 20 books and a series of books first published in 1749 began presenting the idea that other inhabited worlds in the universe existed and that beings from the worlds came to Earth. Many of Swedenborg’s scientific writings were about human physiology, inventions, the initial concepts about brain neurons, and virtually all other known areas of science. In later years he became a religious writer and mystic. He became friends with Immanuel Kant as well as many other famous people of his day. William Blake, Arthur Conan Doyle, Carl Jung, Balzac, Helen Keller, Yeats and many others have written that they were deeply influenced by Swedenborg. While he had written in 1749 about beings on other planets visiting earth, in 1758 Swedenborg astonished his readers by devoting an entire book to life on other worlds. He explained that beings from other worlds had been in contact with him for over a decade and they had physically manifested in front of him. He related that these beings came to him in several places and gave him information about the universe. In Swedenborg’s “Earths in the Universe” (1758) he wrote that the majority of planets in the universe were inhabited. Gradually he came to see the beings as spiritual beings who could take physical form. These spiritual beings did reside on other planets, but they could become physically real when necessary. Swedenborg’s works were exceedingly popular in his time and have been interpreted in several ways. In his writings, Swedenborg spoke of the beings on Mars, Venus, the moon, Saturn, Mercury, and Jupiter. He also wrote that outside our solar system were many other inhabited planets. Some have interpreted his descriptions more as depictions of the “spiritual states” of humans as they would be on various planets. In some ways it is similar to what Edgar Cayce later referred to as “planetary sojourns.” While a few modern writers want to credit others for the earliest depictions of life on other planets and the idea that these beings had and were visiting and influencing earth, the fact is that Swedenborg was the first. He was also the first to do so in such detail. Swedenborg was, in fact, the individual who was mainly responsible for the start of the Spiritualist Movement and the many variations of it that followed. In “The Archetype Experience” (1984), I described Swedenborg’s ideas as well as the other ancient astronaut theorists that follow. Many people cite H. G. Wells (1897) “War of the Worlds” as one of the earliest examples of extraterrestrial invasion fictions, and it is true that it was highly influential. However, several contemporaneous and even earlier science fiction books turned the ancient astronaut idea into their central theme. “Loma, A Citizen of Venus” (by William Windsor, 1897) was one such book. In the plot, Loma comes to Earth specifically to influence a young girl and a physician in order to advance civilization. Another book “Alerial, On A Voyage to Other Worlds” (by W. S. Lach-Szyrma, 1885) describes beings from other planets who influenced the formation of Christianity. Another novel (published in Germany) was titled “Two Planets” (Lasswitz, 1897). 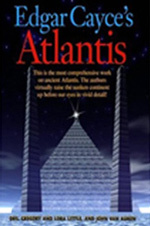 The book’s plot involved the discovery of a Martian outpost at the North Pole. The advanced Martians even take some of the earthlings back to Mars. All of these books were very popular in their time. There were several other similar novels published on the same theme during that period. One of the most influential novels related to the ancient astronauts idea was actually also a key source for the hollow earth theory as well as later ideas that Nazis were somehow linked to the supposed hollow earth. Edward Bulwer-Lytton’s “The Coming Race” (1871) revolves around the discovery of a technologically advanced civilization living under the earth in huge spaces connected by long tunnels. The underground society was formed by descendants of an antediluvian civilization. The beings living in the Earth occasionally ventured outside to influence events and even planned to conquer the surface dwellers. The people were telepathic, had the ability to create and destroy things through thought, and utilized a strange substance for power. In the 1960 book, “The Morning of the Magicians,” a book often wrongly credited as the fundamental starting point for the modern explosion of the ancient astronauts idea, the influence of Bulwer-Lytton’s book is apparent and even mentioned. “The Morning of the Magicians” was an influential book, but those knowledgeable of ufology know that the theory had already been fully presented. 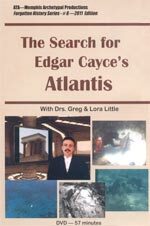 One important note related to the ancient astronaut idea involves the book, “A Dweller on Two Planets.” The book was first published in 1905 and a few people have cited it as a “source” for some of Edgar Cayce’s material given in his readings. The book first appears in the Cayce material in a 1932 reading when Cayce was asked a question about whether the book was accurate. In his reply, Cayce essentially related that some parts of the book were accurate while other parts were not. A lot of the material in “A Dweller on Two Planets” is very similar to Bulwer-Lytton’s 1871 book. 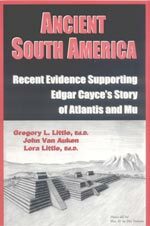 The most curious of all books I encountered in my 1980’s search for the origins of the ancient astronaut theory was the “Oahspe.” For many years, until the late 1990s, there was a popular American magazine that directly addressed the claims made in the Oahspe. The Oahspe, containing over 900 pages in a massive, oversized volume, was published in 1882. A New York dentist, John Ballou Newbrough (1828-1891), reportedly wrote the book through “automatic writing” in 1880. 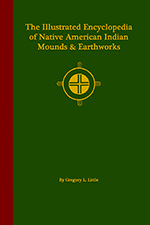 The book was touted as a history of the past 24,000 years and was widely read. It was extremely popular in spiritualist circles. It is described as the secret history of Earth and it describes in detail the many extraterrestrial powers that have influenced the development of humanity. The book sometimes calls the extraterrestrials “angels” but makes it clear that they are physical beings performing the work of their leaders (called “gods”). In essence, the Oahspe is the ancient astronaut theory. 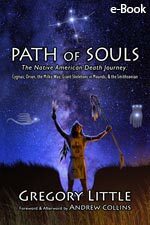 The Oahspe tells (literally) of legions of flying ships coming to Earth from other worlds to teach mankind in ancient times. Several hundred pages are devoted to descriptions of the “fire ships” that travel between planets and star systems—and their many inhabitants. 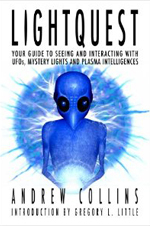 Many descriptions in the book make it clear that there are “hundreds of millions” of these extraterrestrials. According to the Oahspe, “early in man’s development the angels descended from the heavens in their fire-ships to teach man. They first raised man upright and then taught him to dwell together in cities and nations” (p. 32). In essence, the true origins of the ancient astronaut idea stems from Swedenborg in 1748, a series of novels published from 1871-1895, and the Oahspe in 1882. The Oahspe seems to be the first overt reference to actual genetic manipulation of humans by extraterrestrials. All of the subsequent literature seems to have been variations and expansions from these sources. Helena Blavatsky (1831-1891) is best known as the founder of Theosophy. In her 1888 book, “The Secret Doctrine,” Blavatsky wrote of the influence that advanced beings on other planets (especially Venus) had on Earth. In many, many ways the ideas are very similar to those of Swedenborg, the Oahspe, and several of the novels published before her time. Mark Sedgwick’s (2004) book, “Against the Modern World,” flatly relates that much of Blavatsky’s work was plagiarized. I have not looked into the claims of plagiarism to any extent, but I know that a lot of the ideas about life on other worlds in Blavatsky’s works are identical to those of the much earlier Swedenborg and the earlier Oahspe (1882). One of Blavatsky’s followers, W. Scott-Elliot, expanded a bit on Blavatsky’s Venus influence in a 1905 book, “The Lost Lemuria.” However, the Theosophical literature about Venus and the spiritual life forms on other planets is similar to that of Swedenborg who wrote the same ideas some 150 or so years earlier. 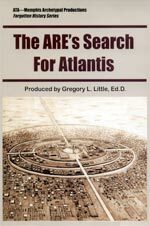 “The Encyclopedia of UFOs” (Story, 1979) related that the space-god cult had its origins in the Atlantis mythology described by Plato (circa 400 B.C.). 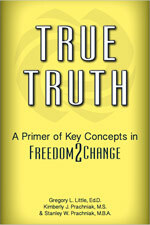 It harkened back to a time when “gods came down from the heaven and consorted with mortal humans” (p. 14). Charles Fort is also mentioned as one of the early proponents in the text, but Morris K. Jessup’s (1955) book, “The Case for the UFO,” is cited as the first modern reference to the theory and the major book that interested later writers—who then took the idea to its popular status. It was Jessup’s 1955 book that jump-started all the other writers who followed and truly brought the idea to the masses. The famous book, “Morning of the Magicians” (1960) ultimately derived its basic material from Bulwer-Lytton (1871), Swedenborg (1758), and the Oahspe (1882) as well as from other writers who appropriated the ideas from these works for their own books. Many science fiction works, horror novels, and short stories from the early 1900s essentially took the ideas and spun a different version of the basic underlying theme. 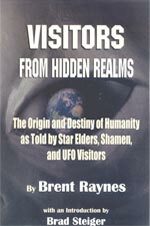 A list in the encyclopedia relates that Blavatsky (1800s), Besant (early 1900s), and Fort (early 1900s), were three of the earliest and better-known proponents of the ancient astronaut theory. 1950’s contemporaries of Morris Jessup’s early writings (and the theory) included Richard Shaver, Desmond Leslie, George Adamski, and Harold Wilkins—all of whom are names familiar to ufologists. 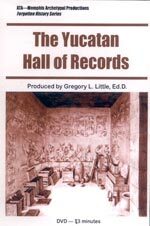 While Von Daniken certainly popularized the idea in ways few people could imagine, the encyclopedia lists 21 people who wrote about the idea before Von Daniken. But not all of the early UFO writers pushing the ancient astronauts idea are listed in the book. 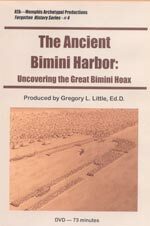 For example, in 1962 Max Flindt put out a small pamphlet titled, “On Tiptoe Beyond Darwin.” In the manuscript, Flindt wrote that humans resulted from “biomanipulation of the starmen” resulting in a group of hybrids. The earliest true source of the ancient astronaut idea (meaning the person who presented the idea to the public in a widely read manner) has to be credited to Swedenborg in the time period 1744-58. 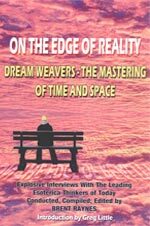 It is clear that the ideas presented by Swedenborg were incorporated into to many of the spiritualists’ subsequent writings that mentioned the idea about life on other worlds and their influence on Earth. 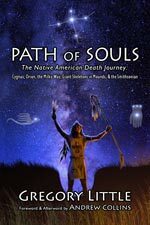 In addition, the Oahspe has certainly been an influence on the field. 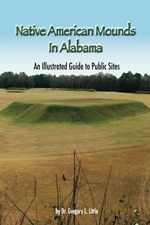 The Oahspe was mentioned in many of the early UFO and flying saucer books. In addition, the 1800’s novels about life on Venus and other planets certainly had an influence, although they may have also been a result of influences from Swedenborg and the Oahspe.